The increasingly competitive content landscape makes it difficult to reach your company’s target audience. Discover three creative strategies marketers can use to craft smart, data-driven content. According to Smart Insights, there are 1,440 WordPress posts published every minute. That’s a lot of content being created on a consistent basis. This increasingly competitive landscape makes it harder for your content to reach your company’s target audience. The ultimate challenge for marketers is creating high-quality content that stands out from the crowd. These steps will help you audit content options so your team can come up with new content marketing ideas. If you’re in a creative lull, look to your competitors. By checking out what other leading members of your industry are publishing, you’ll get a better idea of what they’re doing well and how your content strategy can improve. This overview will provide insights into how your competitors are performing in clear metrics. Once you’ve organized your competitive analysis notes, write down the main takeaways from each site. You can note what they’ve done well, what they’ve done poorly, and what has inspired you. This can be something as simple as new blog categories for your site or a bigger campaign idea. In a content gap analysis, you use an SEO tool to identify keywords your competitors are ranking for and your site isn’t. This strategy can be an extension of your competitive analysis. Content gap analysis reveals content areas your site lacks, sparking ideas for new blog posts or web pages. A tool like seoClarity makes it easy to enter in several domains and compare their keyword portfolios with a simple Venn diagram. In the image above, seoClarity is comparing the ranking keywords of three different domains. You can also download files that include the keywords each domain is ranking for, as well as their specific rankings. Of course, you don’t want to mimic what your competition is doing – but you may notice that your competitors have solid keyword coverage on a topic that’s important to you. This signals they have more robust content strategies in place. By completing content gap analysis, you can focus new blog posts on topics your competitors are outranking you for or optimize existing pages to improve their rankings. Google’s search engine results page (SERP) is changing. Searches increasingly trigger “answer boxes” or “featured snippets” at the top of the SERP. 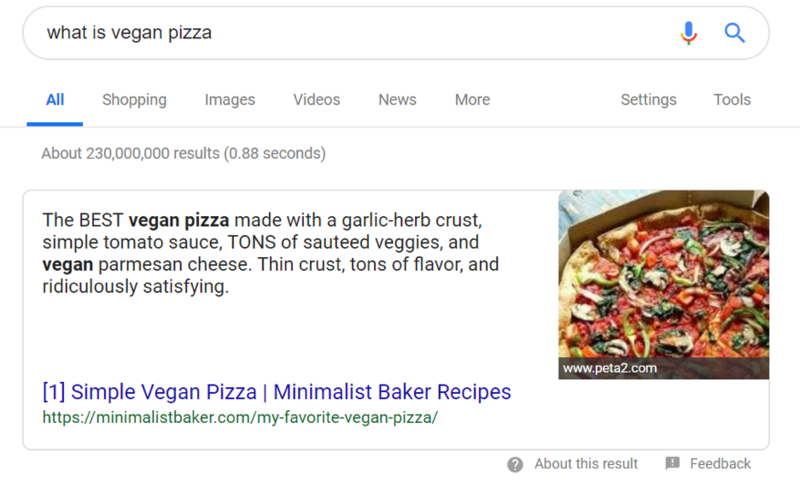 For example, searching for content about vegan pizza results in an answer box from Minimalist Baker featuring a popular vegan pizza recipe. This answer box increases the visibility of Minimalist Baker’s content and signals its authority on the topic. Google chooses the sites featured in the answer box based on the content’s quality, domain authority, and overall site health. If your site “wins” an answer box, you’ll gain more visibility and traffic. Answer boxes aren’t just integral to SEO moving forward. In fact, identifying your site’s answer box opportunities is also a great way to come up with new content ideas. You can use an SEO tool to discover the answer boxes you’re currently ranking for, as well as answer box opportunities. In general, a promising answer box opportunity is a query for which your site already ranks in positions two through ten on the SERP. In other words, if your site isn’t in the answer box for a query – but you are ranking on page 1 – you can optimize and improve your content to potentially usurp the current answer box winner and take the top spot. With an SEO tool like seoClarity, you can pull the keywords that are triggering an answer box and your site ranks for. Then, view the search volume, your site’s rank, and the current winner of the answer box. This makes it easy to check out the winner and take notes on what their page is doing well – and how your website can do even better. Identifying answer box opportunities will give you a helpful roadmap for where you can implement content optimizations and have the best ROI on your content efforts. To try out some of these strategies, you’ll need access to SEO tools like seoClarity, SEMrush, and BrightEdge. These tools allow you to access information on data you can’t obtain from free platforms like Google Analytics, such as which keywords your competitors rank for. At my agency, we use seoClarity, but there are many tools out there that can help. If you don’t have a paid tool at the moment, I highly recommend testing out a platform. Never underestimate the power of a free trial! In today’s competitive content landscape, it’s important to perform research so your content drives engagement. Instead of simply completing keyword research, you should take your investigation a step further by completing competitive analyses, content gap analyses, and answer box opportunity research. Not only can these steps improve your site’s overall SEO, but each strategy can spark new ideas for creating content that’s both creative and effective. 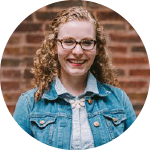 Kayla Hammersmith is the senior manager of copywriting and content strategy at Perfect Search Media. With over three years of data-driven content experience, she manages content creation and strategy for clients and internal marketing. Kayla is also a certified yoga instructor and a devoted cat mom. Read detailed client reviews of content marketing agencies to find the best provider for your business. Learn how to use your content stockpile to improve SEO.